Running the Ghana VAT Service on Python - showcasing an eGenix Custom Project. eGenix has recently completed the first phase of a custom project for a client which will greatly simplify the process of managing VAT taxation in the Sub-Sahara African country Ghana. This short lightning talk was given at EuroPython 2009 and outlines some of the aspects of the project. The solution has the potential of changing the way developing countries approach VAT taxation and can help raise the tax income of governments in difficult times like these, allowing governments to invest in better education, health care and infrastructure. 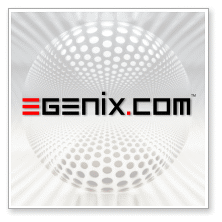 If you are interested in learning more about this solution, or how eGenix can help you realize your own visions and ideas, please contact our eGenix Sales Team. The above 5-minute lightning talk was given the EuroPython conference 2009 in Birmingham, UK, by Marc-André Lemburg, CEO of eGenix.com. If you have questions regarding the talk, please write to the eGenix Sales Team.